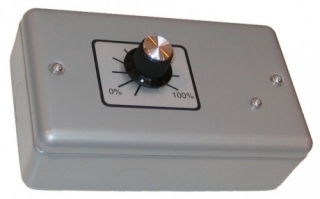 The VAR1 is a manual controller for adjusting the heat output from a 240V infra-red heater. Ideal for pub gardens, churches, garages, restaurants, warehouses, entrance halls, sheds and storage areas. The compact unit is easy to install by a qualified electrician. By reducing the power required, energy is saved, making the unit environmentally friendly and affordable from savings in electricity costs.